14 Jun. - 16 Jun. 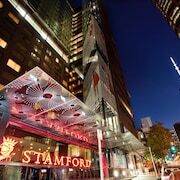 Located in Auckland Central Business District, this luxury hotel is steps from SKYCITY Auckland Convention Centre, Sky Tower, and SkyCity Casino. Queen Street Shopping District and The Civic are also within 10 minutes. Auckland Britomart Station is 12 minutes by foot. 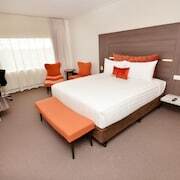 This stylish hotel is within 1 km (0.6 mi) of Aotea Centre, City Hall, Albert Park, and the University of Auckland. 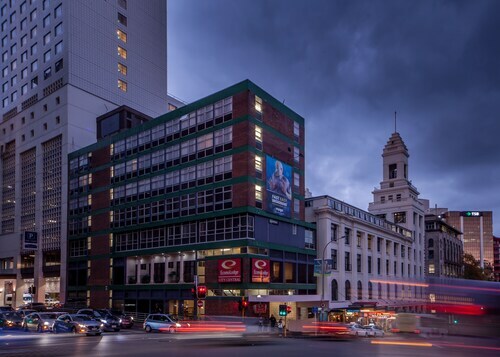 Located in vibrant downtown Auckland, this 5-star hotel is a 5-minute stroll from the shops and cafes of the city's iconic Queen Street. Sky Tower and University of Auckland are also within 15 minutes. Set atop SKYCITY Auckland Convention Centre, this hotel is across the street from Sky Tower and the SKYCITY Auckland Entertainment Complex, surrounded by the city's central business district. 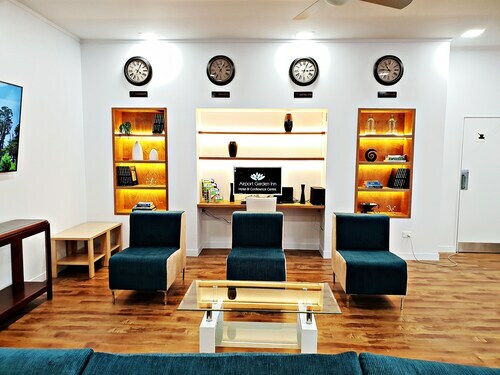 Situated near the airport, this hotel is 0.5 mi (0.7 km) from Butterfly Creek and within 9 mi (15 km) of Rainbow's End and Dressmart Outlet Shopping Centre. Auckland Botanical Gardens and Alexandra Park are also within 9 mi (15 km). 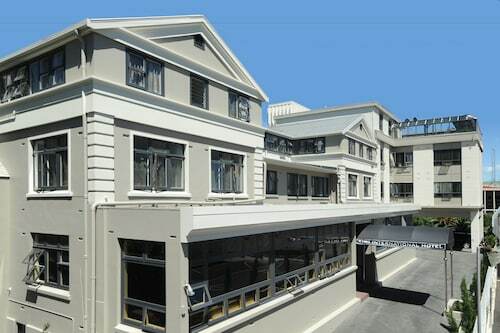 Located in Newton, this hotel is steps from Karangahape Road and Queen Street Shopping District. Sky Tower and The Civic are also within 15 minutes. 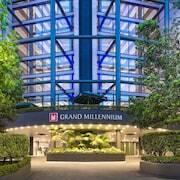 Auckland Britomart Station is 20 minutes by foot and Auckland Mt Eden Station is 20 minutes. 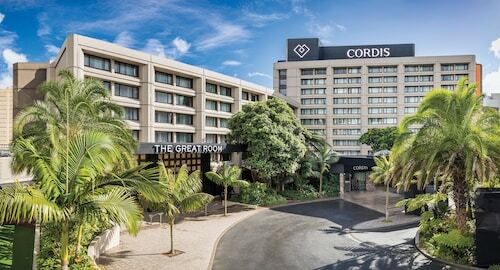 Located in Auckland Central Business District, this hotel is within a 5-minute walk of Queen Street Shopping District, Sky Tower, and SkyCity Casino. Auckland Ferry Terminal and The Civic are also within 10 minutes. Auckland Britomart Station is 8 minutes by foot. 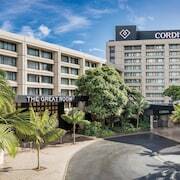 Located in Auckland Central Business District, this hotel is within a 10-minute walk of High Street, Auckland Ferry Terminal, and Queen Street Shopping District. Spark Arena and Sky Tower are also within 15 minutes. Auckland Britomart Station is 6 minutes by foot. 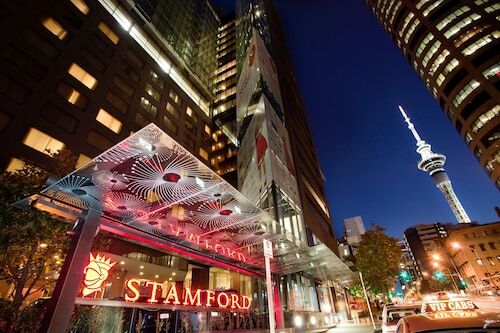 Located in Auckland Central Business District, this luxury hotel is within a 15-minute walk of Viaduct Harbour, Sky Tower, and Princes Wharf. Auckland Ferry Terminal and SkyCity Casino are also within 15 minutes. Auckland Britomart Station is 15 minutes by foot. To say the ancient lands of Auckland were quite desirable is something of an understatement. People from all over the world came for the fertile soil and stunning landscapes, and legends of fierce battles abound. The city’s Maori name, Tamaki Makaurau, means “Tamaki of a thousand lovers”—and you’re about to become one of them. Whether you’re looking to make family memories, get your heart rate going or just eat your way through all the offerings of a new city, Wotif’s Auckland travel guide is here to make planning your holiday easier than biting into a piece of mince pie (though you can do that, too). You may go out with an awesome tan, a stuffed belly or some sweet selfies, but every jet-setter comes in the same way: through Auckland Airport (AKL), 20km south of the city centre. 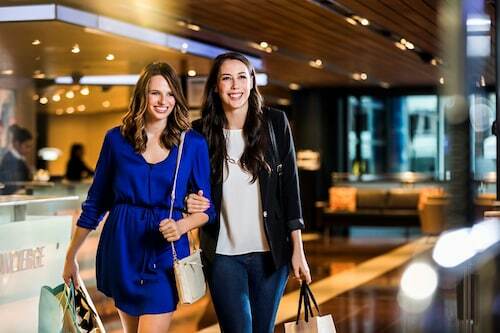 The SkyBus runs direct to downtown 24 hours a day, and taxis are always an option, but if you’re getting in late or just had a long day, look into hotels near Auckland International Airport and regroup. After all, you’ve got big plans! Food fanatics will really have no shortage of places to stay in Auckland. This international city has literally everything you could want, from classic fish ‘n chips to Vietnamese and Italian. True foodies will rejoice in the bohemian vibe of Herne Bay and Posonby—but where should you book your Auckland accommodation in this gourmand’s playground? Five-star enthusiasts should settle down at the north end of Posonby Road to have wine bars and steakhouses at their fingertips; those seeking something a little more funky can stay near Karangahape Road (or K’Road, for those in the know), famous for its cabaret-style restaurants and world fusion cuisines. Edible attractions aside, Auckland’s main draws include plenty of family-friendly fun. But since they’re pretty spread out, you might be wondering where to stay in Auckland's CBD.Worry not: You'll be near all the bus lines and major roads you need to explore via public transport or hired car (that you get from Wotif, duh). Kids of all ages—and adults who are kids at heart—will love the Auckland Zoo, and at 17 hectares, it will certainly keep them occupied for a day or two. Older children will be thrilled with a ferry ride to Rangitoto Island, where you can explore the rugged volcanic terrain on a wild 4WD tour. The activities are endless, but don’t worry. Our Auckland hotel deals will leave you with plenty of cash for family feats. Romping through New Zealand’s largest zoo isn’t the only record you can take advantage of with an Auckland hotel near downtown. The country’s tallest man-made building, Sky Tower, is right in the city centre. What’s so adventurous about an observation deck, you ask? This one is a little bit different: Only a harness and a narrow walkway are between you and the ground below—no handrails, all adrenaline. If that’s still not thrilling enough for you, you can jump off! Plummet 190m toward the earth on New Zealand’s only wire-based jump. Land in City Plaza to a round of applause from the crowds and you’ll feel like a movie stuntman. Night owls have it easy here. There is just one thing to do: Book accommodation in Auckland near the Viaduct Harbour neighbourhood and get ready to get down. Start your day with high-noon cocktails on a lively outdoor patio (because who are we kidding, you won’t be up in time for breakfast), then take the ferry across Waitemata Harbour and catch some rays on Devonport Beach. Return and refuel with a delicious dinner before you hit Customs Street and dance the night away. Holiday plans: One and done. If you’re lucky (or if you’re a plan-ahead, savvy kind of traveller), you’ll catch one of the city’s festivals. Auckland Domain, the city’s oldest park, hosts heaps of events throughout the year, like the popular Lantern Festival. Book Auckland hotels in late February to capture some snaps that will impress all your friends. We’re talking 800 lanterns floating through the sky, live traditional performances and grand finale fireworks. Your social media profile will never be the same. In search of something groovier? Summer time is the right time for music festivals, and hotels in Auckland will put you near everything from hip-hop to indie fests. If you’re ready to get down on the North Island, the “City of Sails” is ready to welcome you into its growing fan club. An Auckland getaway won’t leave you skint (read: broke), either. Get the best deals when you bundle your hotels and airfares with Wotif’s awesome Auckland holiday packages. Tu meke (good job!). You’re well on your way to chowing down and living it up, Kiwi-style. How Much is a Hotel Room in Auckland? Hotels in Auckland start at NZ$138 per night. Prices and availability subject to change. Additional terms may apply. 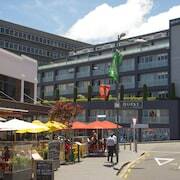 Situated very good position to reach most facilities in Auckland. Rather small room but everything else very good.